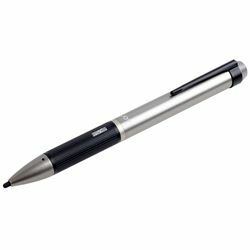 The Pinpoint stylus features a soft tip that makes writing on a tablet feel like pen and paper. Internal circuitry creates an electromagnetic field around the stylus tip, mimicking the touch of the human finger on the touchscreen. It even writes accurately over an impressive 120°-wide angle. Replacement tips sold separately.